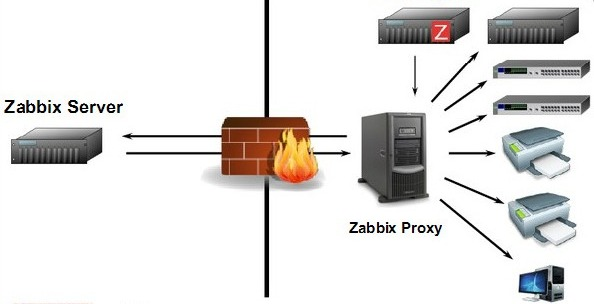 A Zabbix proxy is software that collects information about a monitored environment and sends it to a Zabbix server. Use of Zabbix proxies may greatly simplify the maintenance of an environment monitored by Zabbix and increase performance of the central Zabbix server. 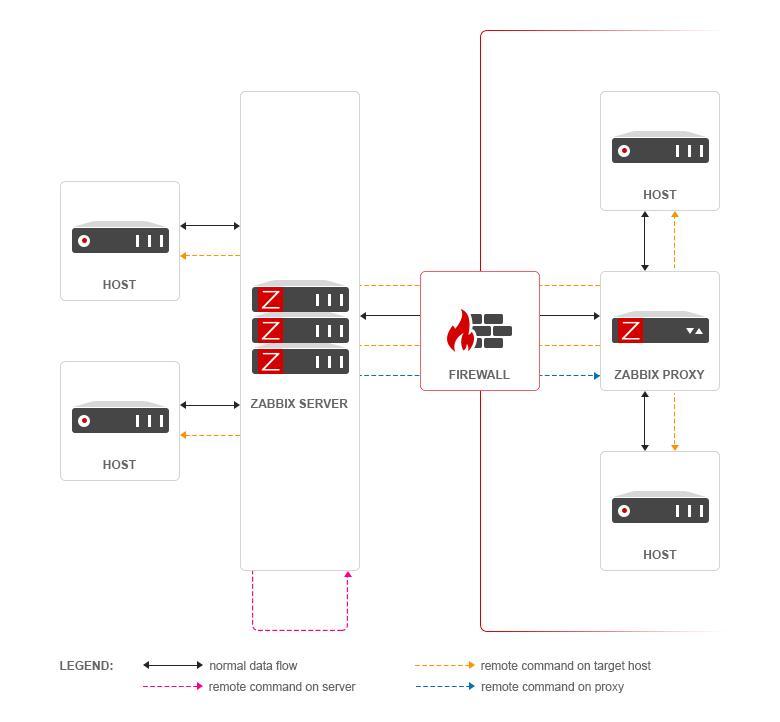 Also, the use of Zabbix proxies is the easiest way of implementing distributed monitoring with proxies gathering information locally and reporting to a central Zabbix server. It is possible to execute remote commands and global scripts on hosts monitored by proxies. The command is executed by the agent on the target host. Or you can execute a remote command by the proxy itself.